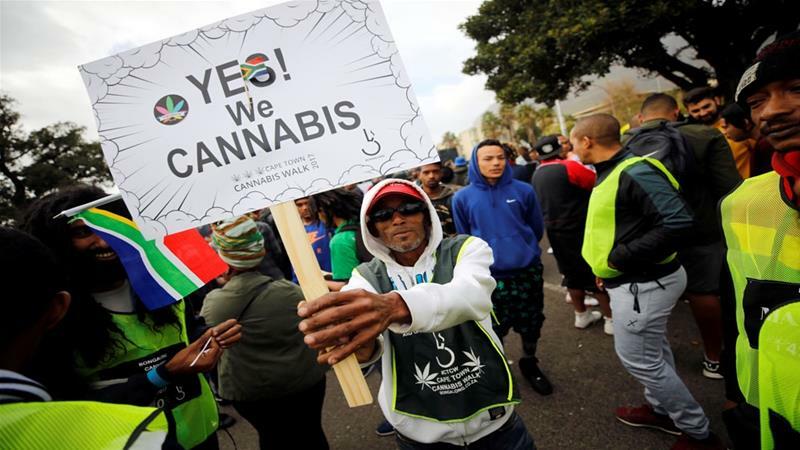 South Africa’s highest court has legalised the private use of marijuana, upholding a lower court’s ruling that found the criminalisation of cannabis was unconstitutional. In delivering the Constitutional Court’s unanimous verdict, Deputy Chief Justice Raymond Zondo on Tuesday declared the law banning marijuana use in private by adults “is unconstitutional and therefore invalid”. “It will not be a criminal offence for an adult person to use or be in possession of cannabis in private for his or her personal consumption,” he said in Johannesburg. However, the judgement did not specify the amount that can be used by an adult in private use. Activists, including members of the Rastafarian movement and traditional healers, greeted the ruling with loud applause. Outside, pro-cannabis campaigners lit pipes and rolled joints to celebrate the news, filling the air with the distinctive aroma of marijuana. “Now, we can get police to focus on real drugs and thugs,” he added. 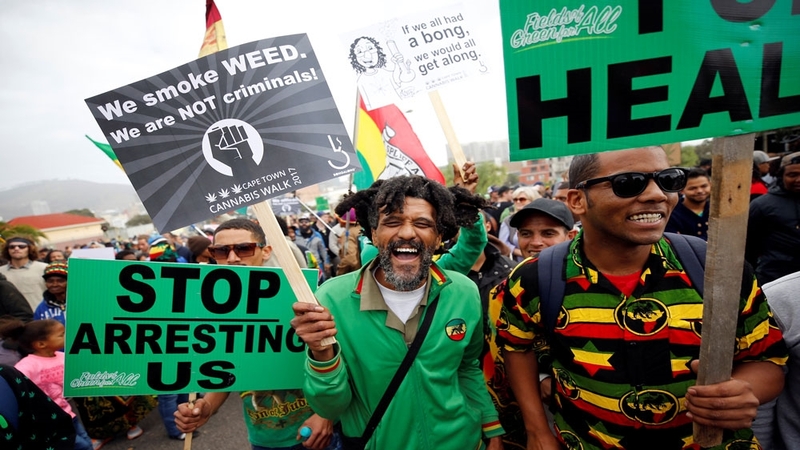 Activists have held marches over the years to demand that the law be changed to allow people to smoke “weed”, which is called “dagga” in South Africa. They also cite medical research which suggests a link between heavy use of marijuana and psychotic disorders such as schizophrenia. “We have used cannabis to treat anxiety, colic in children and as an antiseptic in secret for many years,” said Phephsile Maseko, of the Traditional Healers Organisation. Previously, possessing, growing or using marijuana for personal use – even in small quantities – exposed users to fines of up to hundreds of dollars as well as jail time. Penalties for selling it were far higher.